The prominent environmental regulator, who served as President Clinton's EPA administrator and President Obama's energy and climate adviser, recently joined the electric scooter company Lime as a sustainability adviser. It's a sharp pivot to the private sector for Browner, who earned the nickname "climate czar" — or occasionally "czarina" — during her time in the Obama administration. 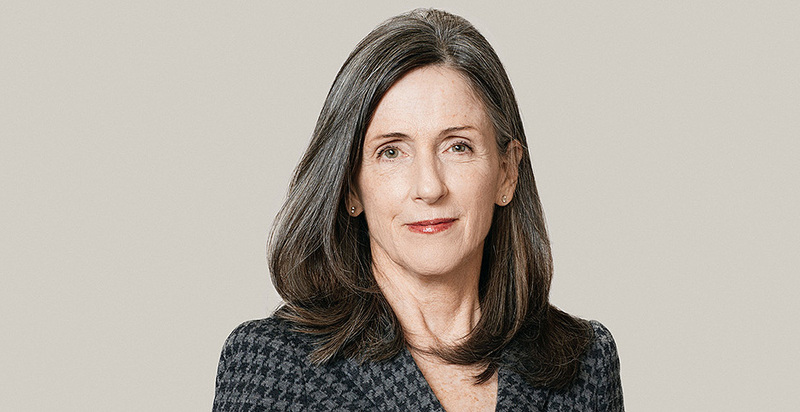 E&E News spoke with Browner in 2017, when she was girding for the Trump administration's environmental rule rollbacks and trying to tend beehives on her property in Vermont (Greenwire, March 24, 2017). Last week, the 63-year-old returned to Capitol Hill for the first time in years to testify about climate change (Climatewire, Feb. 8). Why did you decide to join Lime? I believe climate change is the biggest environmental challenge we've ever faced and that addressing it will require as many tools as possible. And I have a long, long history in understanding how the private sector can work with government. I started my career running a state environmental agency. What are you looking at in your new role? Many cities are developing climate plans. So we are looking at, how do we make sure that a carbon reduction plan includes micro-mobility? How do we understand what it means to get people out of a car for the last couple of miles? Transportation is now the country's largest source of greenhouse gas emissions. Can e-scooters play a role in reducing emissions from the sector? I think electric scooters are a very important part of it. Particularly as our urban centers grow, scooters will play a big role. Obviously, people should walk. But not everyone will walk. For some people, a mile is more than they're willing to walk. But if they have a meeting across town, they may be willing to jump on a scooter rather than hopping in a car. 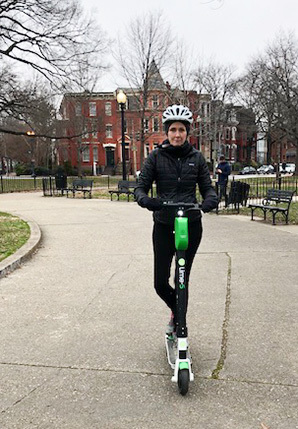 Have you personally ridden a Lime scooter? Did you enjoy it? I have ridden one. So just to put this into context, I am 63 years old. But I decided that if you want to work with somebody who has a new technology, you have to go out there and try it. I admit that I had to rope in my 31-year-old son who's a skateboarder. [Laughs] It was great. It was a lot of fun. What was your legacy as EPA administrator under President Clinton? I'm just incredibly proud of the work I was able to do. We worked to set the first-ever fine particle pollution standards. We updated the smog standards, and we argued the legality of that all the way to the Supreme Court, where we won 9-0. So that was a huge, huge victory for the agency. We also did a lot of work to reduce emissions from cars, including setting new emissions standards. One of the great things about being there for eight years was the ability to start and finish projects. I had the opportunity to come full circle. I would also say that when I was at EPA, [Georgia Republican Rep.] Newt Gingrich became speaker of the House, and we fought a very tough battle with Gingrich. He had a very anti-regulatory agenda. Have you been disappointed by the rule rollbacks coming out of the Trump EPA? It's worse than disappointing. I mean, it is stunning and very alarming. What is happening is alarming, without a doubt. Not only are they rolling back regulations, but they're also really changing how the agency does its business on a day-to-day basis in terms of the science it can rely on and engagement with the public. It's abdicating very important responsibilities. And unfortunately, what you see are some of the worst polluters getting a break. Are you particularly concerned about the rollback of the clean car rules, since you worked on them? So when I was at EPA, we worked on tailpipe emissions. Then, when I went to Obama eight years later, we did the first-ever carbon standard for cars. We reached an agreement with the automotive industry to achieve 54.5 miles per gallon efficiency by model year 2025. If you buy gas, that was good because it makes your car go further on a single tank. If you breathe, that was good because it made the air cleaner. And it was good for industry, which was why they engaged with it, because it gave them certainty and predictability. They didn't want to have California regulate them in one way and the rest of the country another way. I used to say to President Obama, "To quote Mick Jagger, 'You can't always get what you want, but you get what you need.'" So everybody got what they wanted with that. The fact that the Trump administration is now rolling this back and making significant changes, you know, California's not going away. So I think the car companies probably rue the day they asked for some changes. What did you think of former EPA Administrator Scott Pruitt and his multiple ethical scandals? Look, first of all, public service is an honor. It is an incredible honor to get to serve your country. In agreeing to take on that responsibility, you should be held to a higher standard. So it is what it is. You don't have to do this job, and in taking the job, you should remind yourself every day of the honor and the responsibility. So I don't cut anybody any slack on misbehavior in office. You told HuffPost that it will take EPA 20 to 30 years to recover from the damage done by Pruitt. Yes. There have been all these underlying insidious changes in how the agency does its business, whether it's science or transparency. There's also the fact that good people are leaving. I mean, the great thing about EPA was the career employees. They were the most awesome people. They had committed their lives to thinking about how to protect the environment. And the more of those people who leave, it's a problem. And the fewer people who want to commit their lives to it, it's a problem. Are you concerned about low morale among the EPA staff who were furloughed during the partial government shutdown? I mean, I went through government shutdowns when I was at EPA. They're horrible. They're destructive. They have no place in our democracy. And my heart goes out to the people at EPA and across the government who struggled because of failure of the government to deliver them a check. It's just no way to run a government. Do you think acting EPA Administrator Andrew Wheeler will be different from Pruitt? I think they're probably two peas in a pod. I think Wheeler probably has more depth of knowledge about how the agency operates, and that may lead to his ability to better dismantle the agency. What TV shows or movies have you watched recently? I don't watch a lot of TV. But I have three grandchildren, so we went through a "Frozen" phase. We go through phases. Little children like watching the same movies endlessly. What's something interesting about you that readers may not know? I think one of the most interesting things about me, actually, is that my husband and I live part-time in Vermont at the end of a dirt road in the middle of nowhere. We try to really have a simple life. The last time you spoke with E&E News, you were interested in beekeeping, but bears kept getting to the bees. The bees, that was a sad end. [Laughs] The bears got the bees. It was an old apple orchard, so we've been working on getting our apple trees into shape. They hadn't really been managed or pruned. But living in the middle of nowhere is an interesting challenge every day.